It’s the last summer before your high school senior turns into a college freshman. If you’re not careful, this summer will just fly by. Here are 10 things you’ll want to do so you can face college drop-off day feeling like you and your child are both prepared! So, graduation is over and the relatives have returned home. Now, the summer looms ahead. Both you and your soon-to-be college freshman may feel like you’re in a bit of a holding pattern right now. The big transition to college is still a few months away and while you may be making a few tentative lists of things to buy, you’re probably not anticipating serious dorm shopping for another month or so. 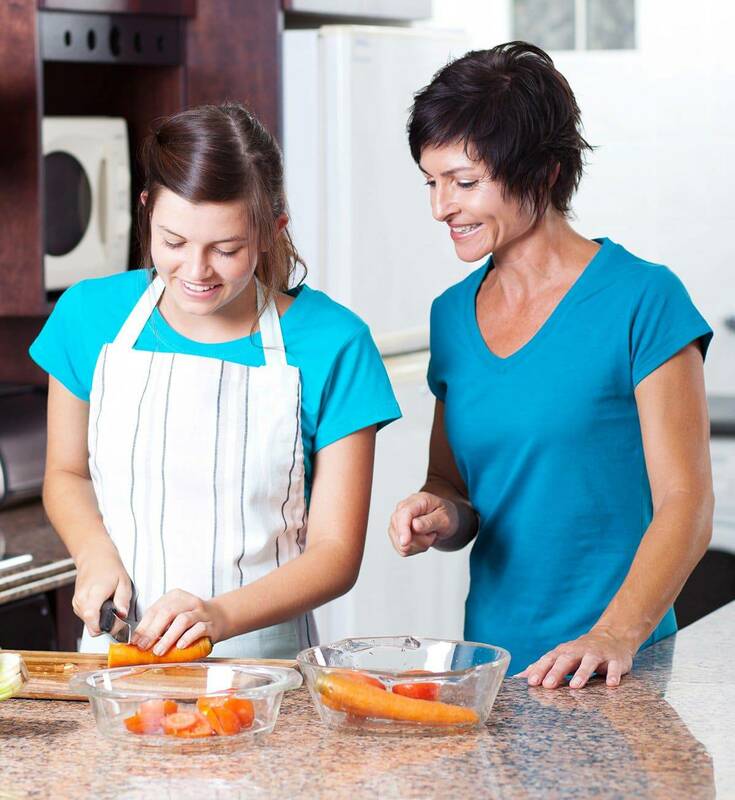 Your child is no doubt filling their time hanging out with friends and enjoying a summer of decreased responsibility after the stress of senior year, but you may be looking at your child with anticipatory nostalgia and wondering how to take advantage of this last summer together before the big move to college. Here are a few things you can do to make the most of this time. You’ll probably need a doctor’s appointment to make sure all your child’s vaccinations are up to date but it’s helpful to make that appointment early in the summer so you can beat the rush of July and August appointments and get your doctor when they’re able to give your child their full attention. In addition to getting a clean bill of health, take advantage of this of this visit to discuss how your child should get medical attention at school and where and how any prescriptions should be filled. Your doctor may also be able to help you get a blanket HIPPA form for your child (and here’s why you need one.) Now’s the time for your child to begin transitioning to handling their own medical care so allow your child a little alone time with the doctor to privately discuss any concerns. This summer is a good time to talk about how money for miscellaneous living expenses will be handled. Will your student be responsible for all expenses beyond the basics? Will you be one the one funding these expenses or at least sharing the burden? Here’s a great article that explains the pros and cons of each approach but however you choose to handle this issue, make sure you and your student both understand how things will be handled. If your child doesn’t already have a checking account, now’s the time to set one up. Check and see if your bank has a low-cost account for college students to keep fees down; most do. Is your biggest fear that your child is going to leave for school and you’ll never hear from them again? That’s a reasonable concern: many students end up so busy and over-scheduled they don’t make time to check in at home. That’s why it’s a good idea to set up a time for a regular phone or Skype call. You’ll get some reassurance that your child is at least still alive and your child will probably suddenly realize they have a ton of things to tell and ask you. At this point, your student has visited their chosen college campus at least once and maybe even a few times, but if your child’s school isn’t too far away, consider a low-key, no agenda visit one weekend. This is the chance for you and your student to wander the campus and really get to know it. Spend some time in the library and find the best study spots. Walk the paths between potential classes and find the best routes. If most of your student’s time on campus has been in the form of organized visits, being able to wander about for a while can help him finally feel at home in his new environment. My daughter and I spent the summer before she left for college binging on YouTube dorm haul videos where girls (and they are always girls) spend 10-15 minutes pulling stuff out of a Target bag and talking at length about each item. We were enthralled. We took notes. We also ended up buying maybe one tenth of the items our YouTube favorites showed but it was still useful to get an idea of the stuff people found useful and to see what products showed up repeatedly. Besides the dorm haul videos, we also watched the school’s official video of her dorm over and over to remind us of the layout and potential ways we could take advantage of the space. That was really helpful but the dorm room tours students posted on YouTube were even more useful because they showed a furnished dorm room in action. Search “dorm tour” plus your student’s college name to find some tours to watch. Pro tip: add “guy” to the end of your search if your freshman is a boy and not really all that interested in the many uses of fairy lights. Stores know that the summer before college is a huge buying time and they’re ready to offer you an inducement to spend some of your money with them. Of course, you’ll want to sign up for the Bed, Bath and Beyond mailing list so you can grab that coveted 20% off your whole purchase coupon but did you know that the Container Store offers private shopping days and discounts for incoming freshmen? Check out their college section and sign up for notifications here. And Amazon Prime Student is becoming a bigger player each year with specialized discounts (including textbooks!) and six month’s free shipping. I don’t mean you. I’m sure your skills are well-honed by years of folding and fluffing. But does your college student really know how to do laundry away from home? I really wish (and my daughter agrees) that I’d arranged a field trip before college to the local laundromat so we could discuss how to separate clothes, how to use a coin-operated washer and dryer, and general laundromat etiquette. Similarly, it’s a good idea to have a quick lesson on how to cook for yourself in college. Most students know how to make microwave mac and cheese but that can get pretty old after a while. I’ve got a list of easy meals for college students so check out a few and make a couple together so your child won’t starve when the cafeteria is closed. 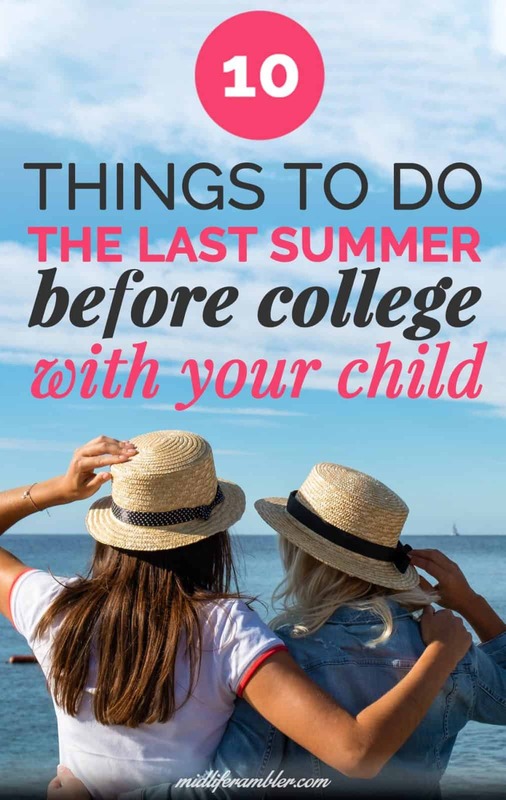 Of course, you’ll want to spend some quality time together before your child runs off for college. However, that’s probably not your student’s priority. 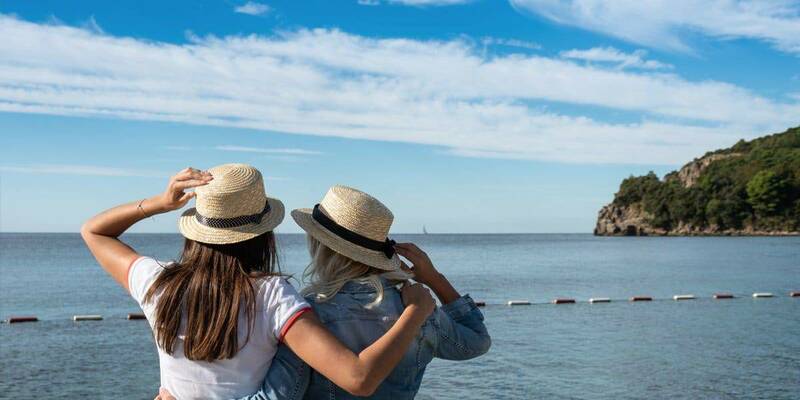 The summer before college is the traditional time to get in a much time with high school friends as possible so you might need to try to find a way to get in your quality time without imposing on the time with friends. Why not try picking a show to binge and watch one or two episodes every night before your student heads out for the evening? Here’s a great list of bingeable shows. Another great way to sneak in some quality time with your soon-to-be freshman is to revisit some of their favorite places from childhood. Have dinner in some old favorite restaurants or take a day to visit some hometown favorites like a nearby lake or park. Don’t forget to take tons of pictures and selfies together. After all, you’re being a tourist and you’ll both have some fun memories to look back on later. The transition to college is a stressful time for students and their parents. Don’t forget to take a little time to ease your own stress. Have a girl’s night out with some friends and blow off a little steam. Sneak away for a solitary cup of tea. Head out for a restorative hike with your husband and get to know him again. After all, soon it will be just the two of you.